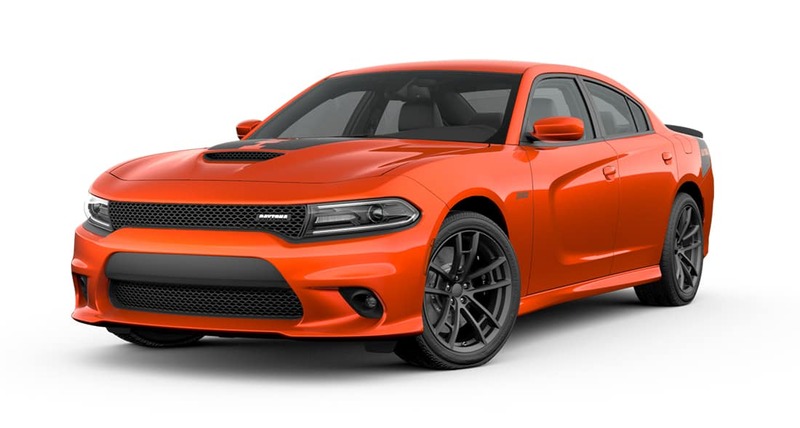 Where Can I Find Dodge Charger Sedans for Sale Near Me? Are you asking yourself, ‘where can I find new & used Dodge Charger Sedans for sale near me?’ South Pointe Chrysler Jeep Dodge Ram offers an exceptional selection of new, used & certified pre-owned Dodge Charger Sedans for you to browse and test drive in Tulsa, OK.
WHY CHOOSE THE DODGE CHARGER? To be really honest, the main people who may need to be convinced to drive a Dodge Charger are those who’ve never driven one. At the risk of honking our own horn, we’re pretty confident you’ve never had a test drive like this one. Trust it or not, there was a time when American freeways were somewhat filled with American muscle cars. Those days may be dissipated but the Dodge Charger hasn’t forgotten that history while embracing the engineering developments of the present and near future. If traditional motor vehicle power with a contemporary touch is your fascination, welcome to your new site. When we say “power”, we’re saying everything from a 292 HP V6 to the 6.2-liter 707 HP SRT Hellcat (Yeah, we said “707 horsepower”). With an extensive lineup of trims and powertrains to select from, you’ve got easy access to all the power you could ever demand for. It’s not just what’s under the Charger’s hood that has an attitude. The exterior style just screams ‘Bad To The Bone’. The Charger’s appearance is accomplished with a surprisingly large interior, matched with some of the most sophisticated infotainment and automotive convenience tech on the planet. We could go on, but you’re probably already on your way to test drive yours, aren’t you? Drop by South Pointe Chrysler Jeep Dodge Ram today to test drive a new, used, or Dodge certified pre-owned Sedan in Tulsa, OK. Our knowledgeable team of Dodge specialists are standing by to help you find the perfect vehicle. View our inventory online, stop in, or call (918) 584-1481 today to learn more. We look forward to serving you! We appreciate your interest in our inventory, and apologize we do not have model details displaying on the website at this time. Please fill the form out below and our team will quickly respond, or, please call us at (918) 584-1481 for more information.